We love Orchard Toys here, and having used them previously as a childminder and in a nursery, I know that they are really popular games and puzzles which can encourage even the quietest child to start talking and join in. 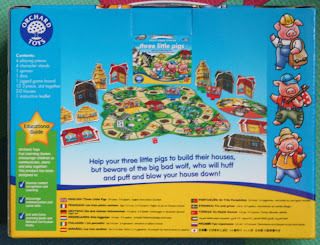 We were lucky enough to review both the Three Little Pigs and Old MacDonald Lotto for Izziwizzi Kids Playfest. 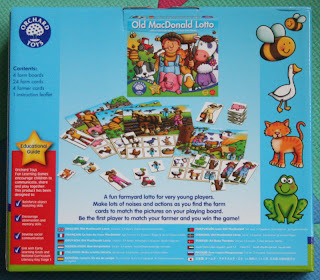 As with all Orchard Toys games and puzzles they are designed and manufactured in the UK from strong 100% recycled board. 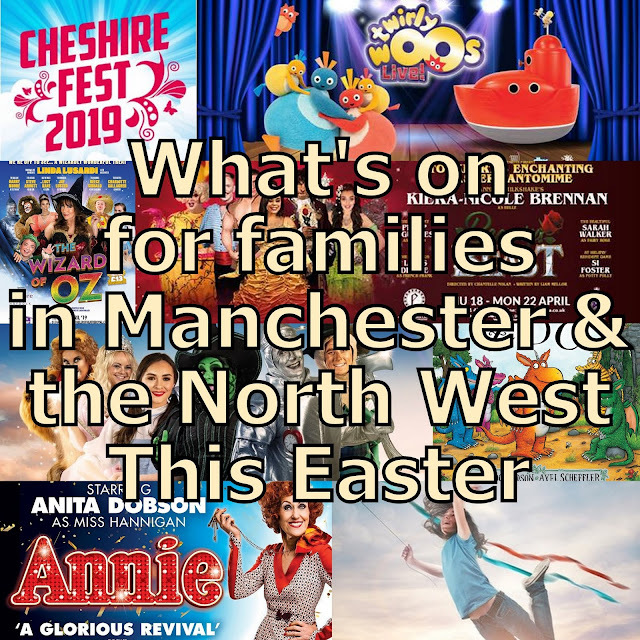 They have really bright colours, modern pictures and chunky pieces that don't bend or come apart during even quite boisterous play. 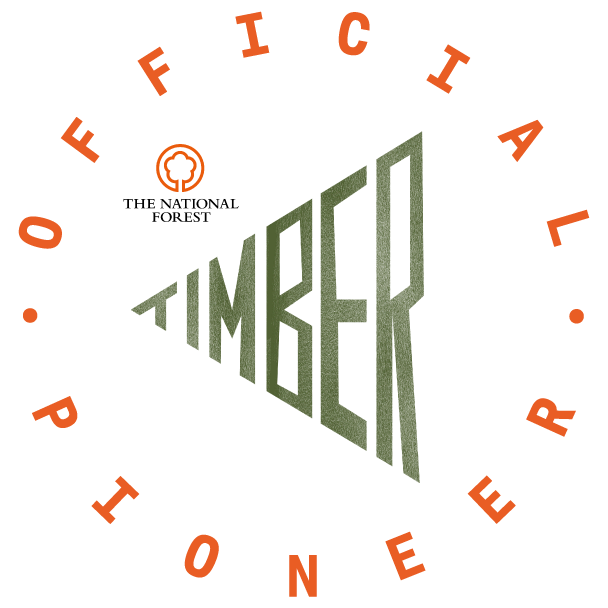 They are built to be played with, and built to last. 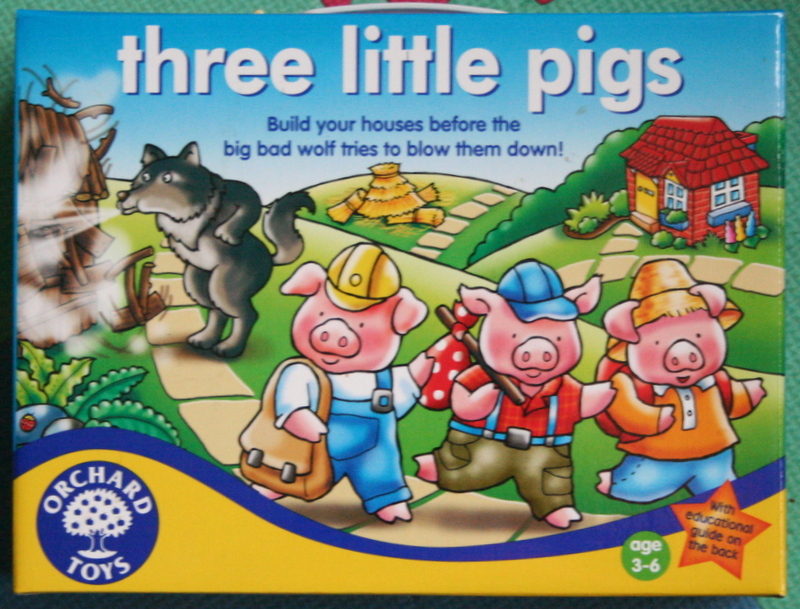 The Three Little Pigs game retails at £11.75. 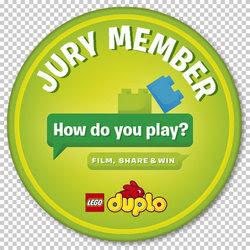 It is suitable for 2-4 players and the suggested age range is 3-6. It is perfect for nursery or pre-school aged children who are learning to count, and beginning to become confident with numbers. 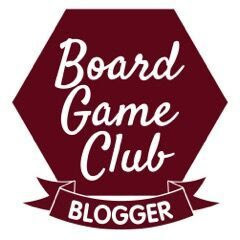 It teaches turn-taking and basic game play, and also the concepts of winning and losing via a more indirect path, as a player can be 'winning' but then have a couple of unlucky throws and fall back. We loved the 3D nature of this game, the little pig characters and the houses made it really tactile and held the interest of the younger children, they were also excellent for encouraging a little imaginative play! 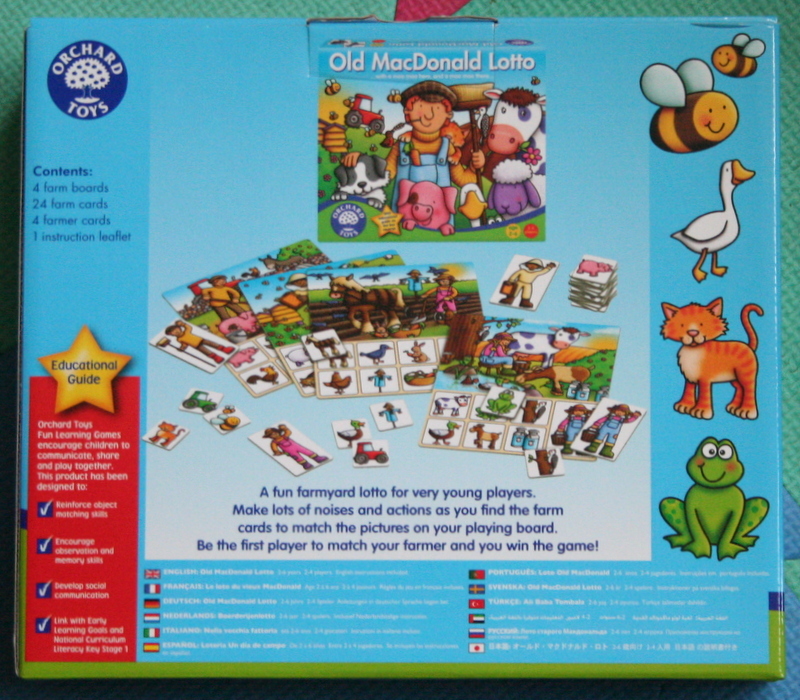 Old MacDonald Lotto retails at £9.50. It is suitable for 2-4 players and the suggested age range is 2-6. 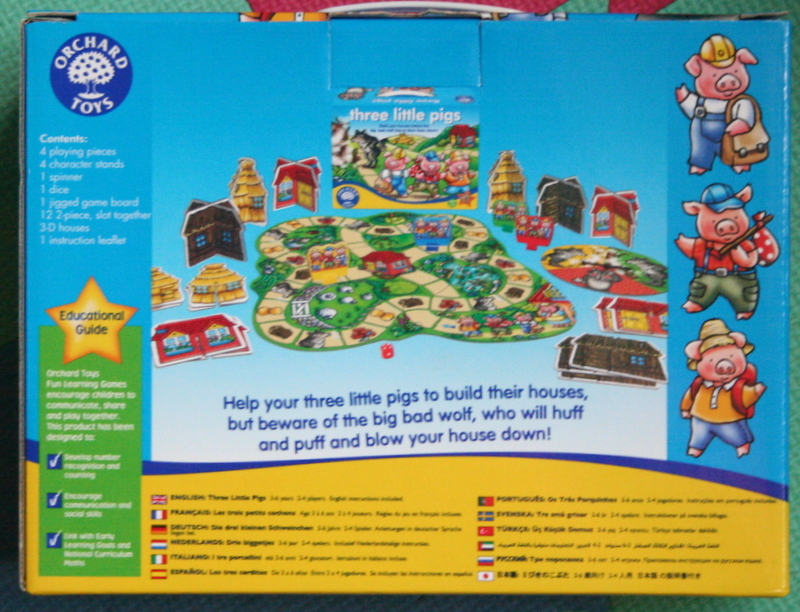 This game is ideal for a younger child who is learning to turn take and play games. 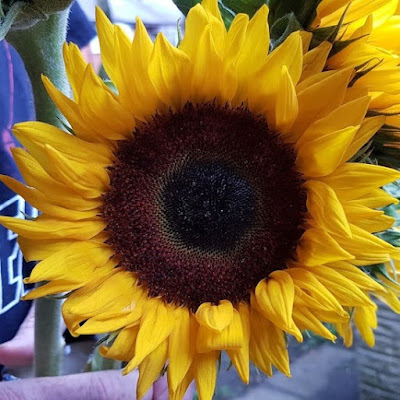 It teaches recognition of different animals and objects, and their corresponding actions or sounds, expanding a child's vocabulary and increasing their confidence. 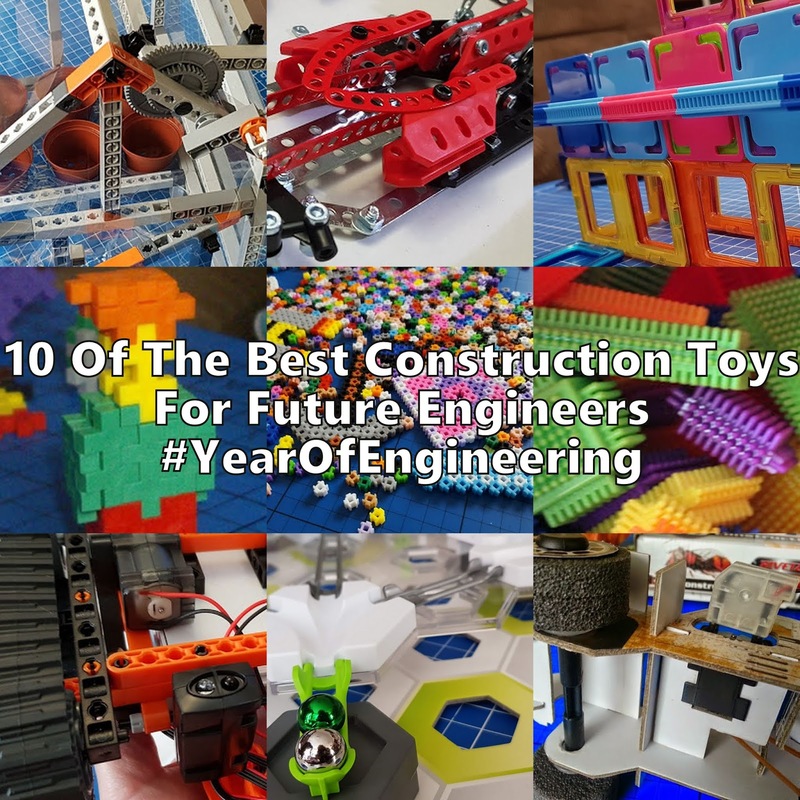 It encourages observation, memory and matching skills. The aim of the game is to collect all of the matching cards shown on your lotto board before the other players. If you find a matching card you then perform an action or sound that corresponds with that card before placing it on your board. Our 2 year old especially was delighted with this game and felt really special that we have a game he can play on an almost even level with his older siblings. He very quickly learnt all of the names for the objects which appear, from the very familiar through to 'woodpecker' and 'milk churn' which are not so commonplace. He picked up the idea of taking turns very quickly, although found it harder when there were 4 players and spent a lot of time being confused as to when it was his turn, but it was all good. We liked that we could change the game slightly to match the ability and interest of the children playing. When the 2 year old played he really liked the 'farmer' characters, so we let him choose one before we even started, otherwise he couldn't concentrate on the game because he was too keen to, in his words 'choose a player'! We were lucky enough to be sent these games to review, but the opinions and reviews are our own genuine thoughts. We play Orchard Toys games, or do their jigswaws almost everyday. They are great, so educational but fun with it. The perfect balance. 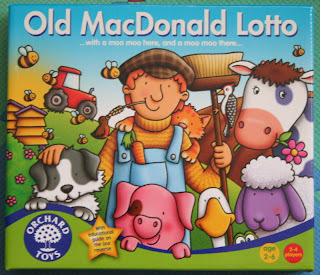 Old MacDonald Lotto is a particular favourite of my son's. I mention it whenever anyone asks for recommendations for toddlers. Sorry, I don't remember your name? Be A Knight - Do It Right!